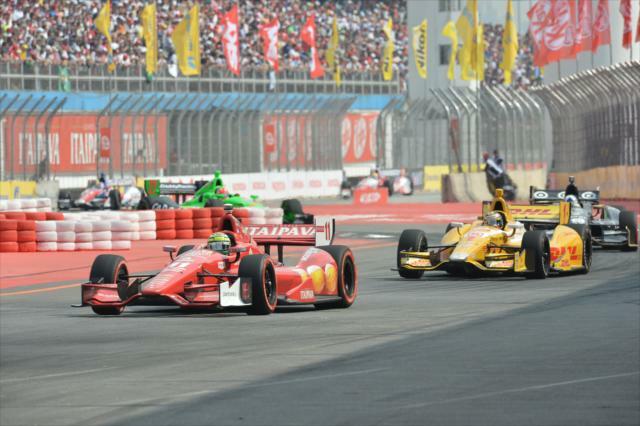 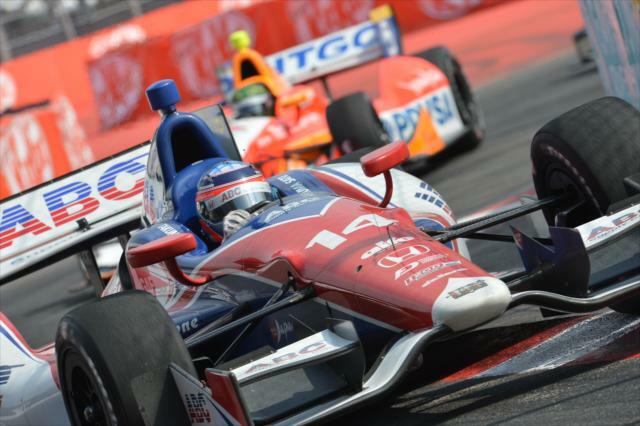 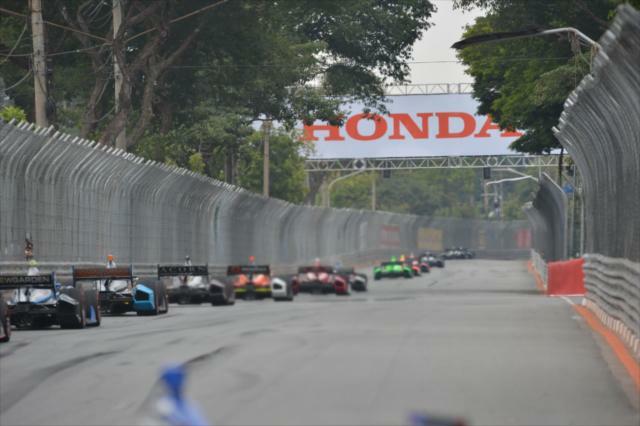 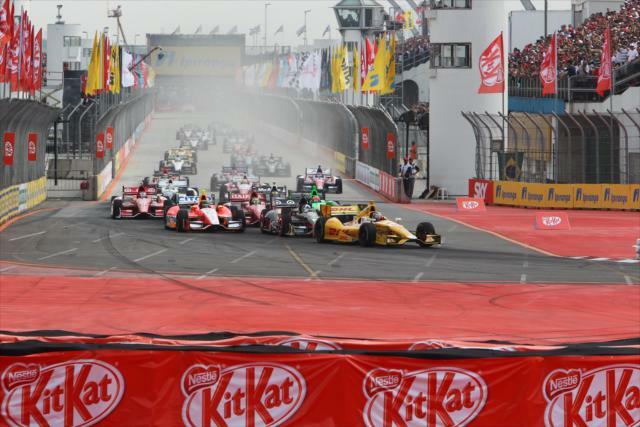 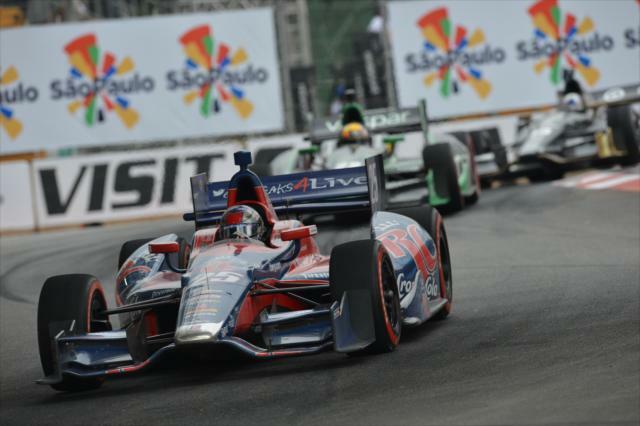 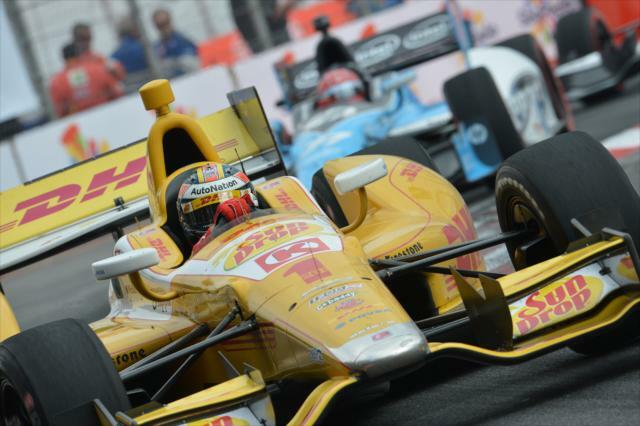 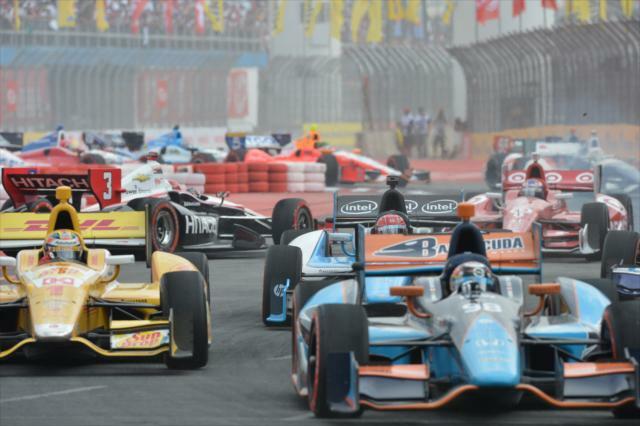 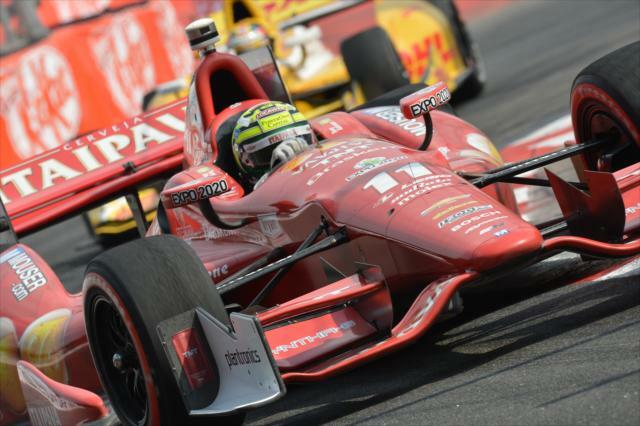 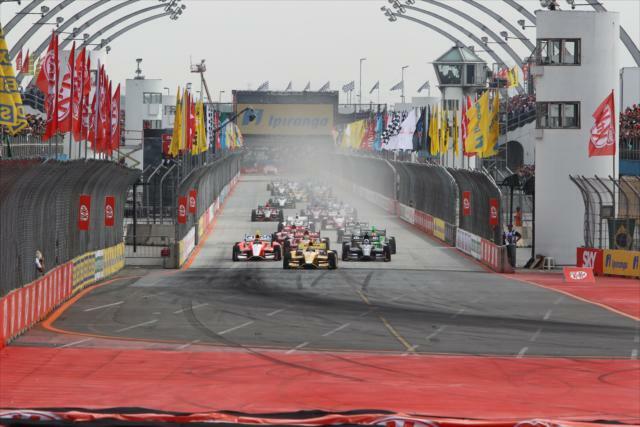 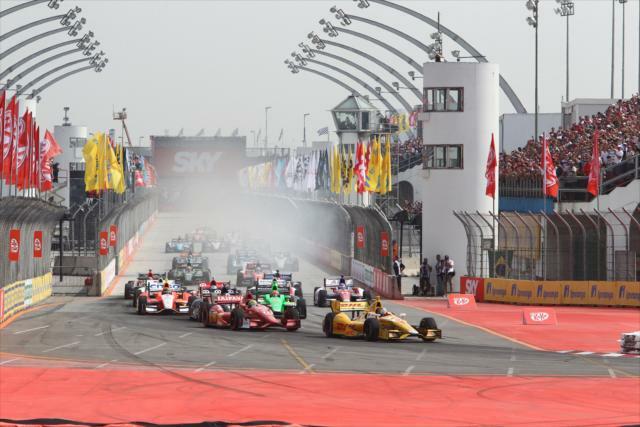 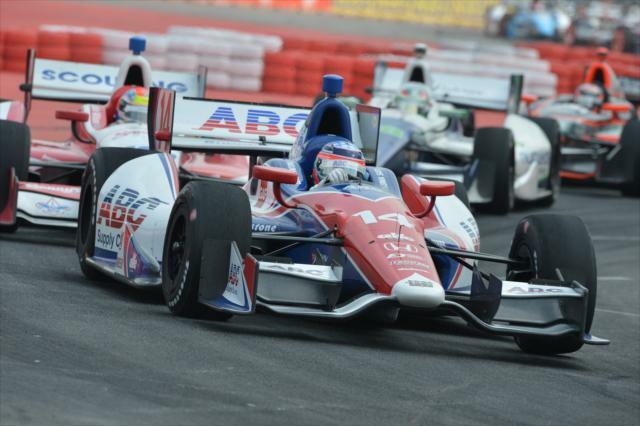 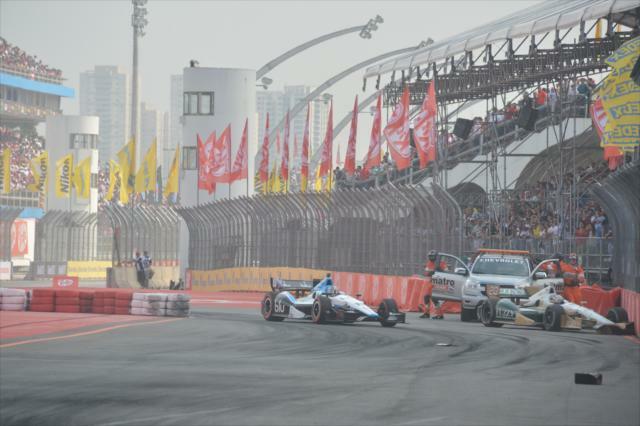 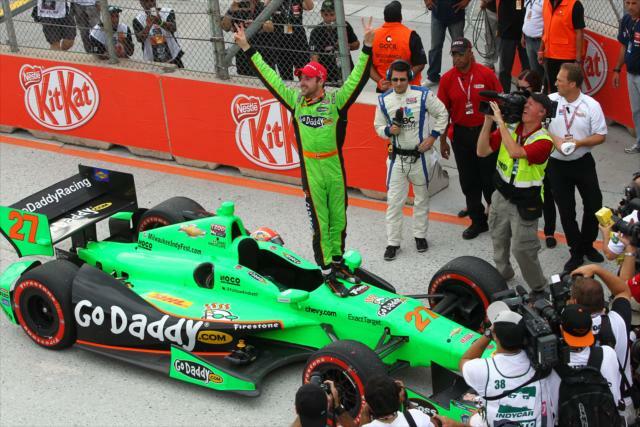 Hinchcliffe overtook Takuma Sato in the final turn of the final lap to win by .3463 of a second, preventing A.J. 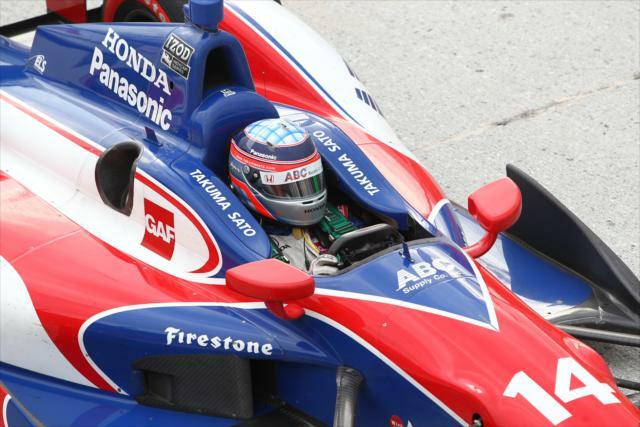 Foyt Racing from earning consecutive victories for the first time since 1978 (Kenny Brack at Atlanta Motor Speedway and Pike Peak International Raceway). 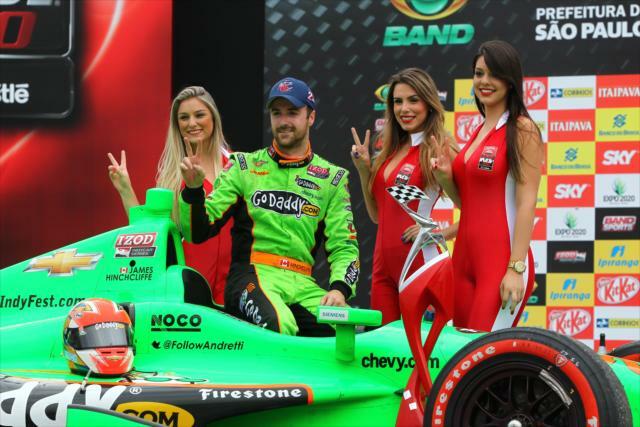 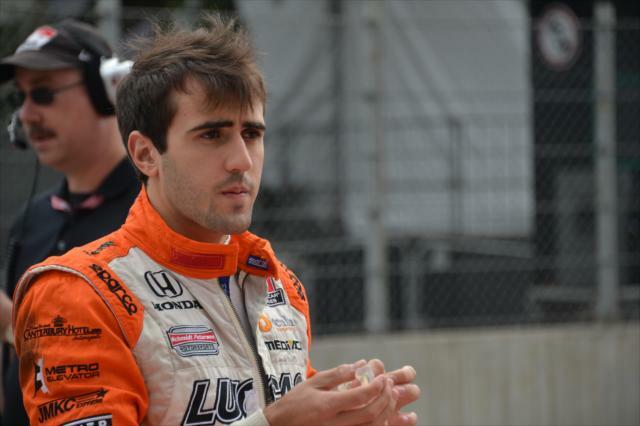 Hinchcliffe, who won the season-opening race in St. Petersburg, Fla., and did not finish the past two races because of contact in the No. 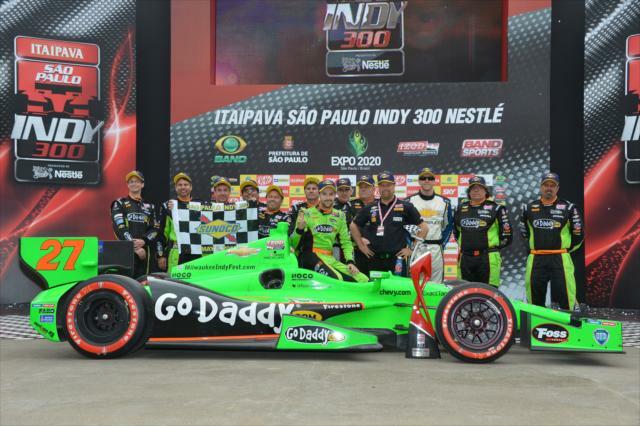 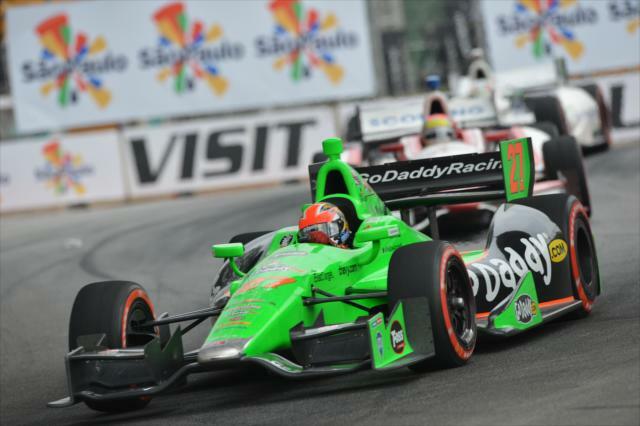 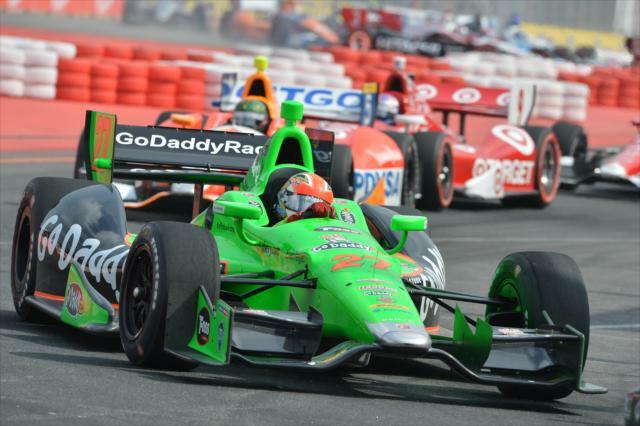 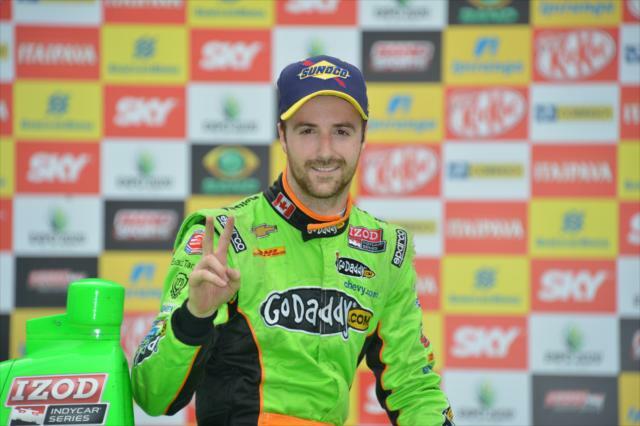 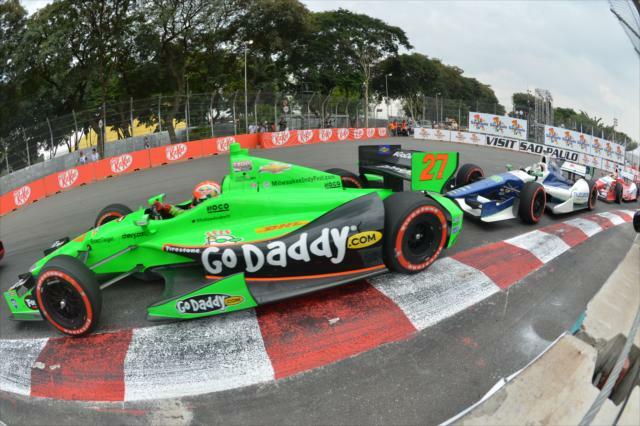 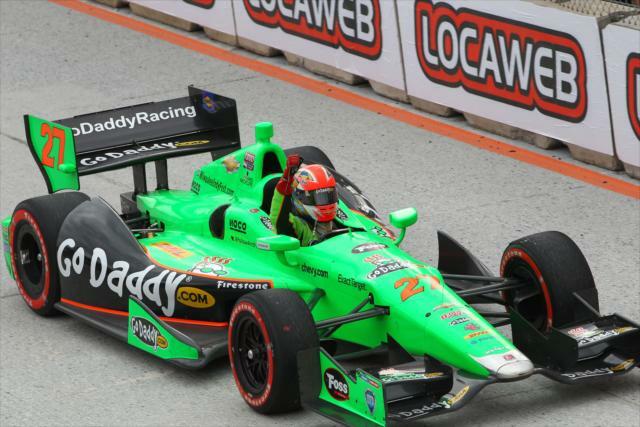 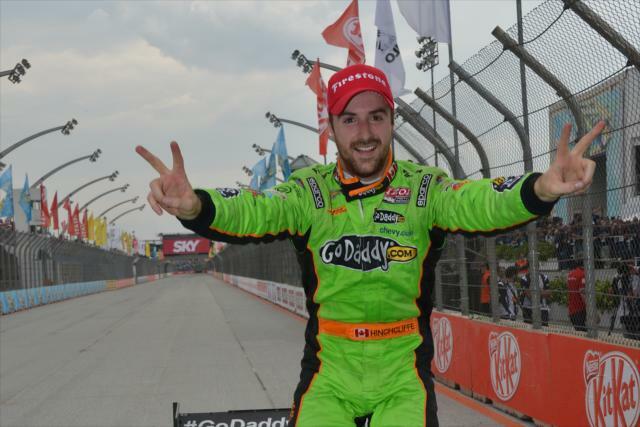 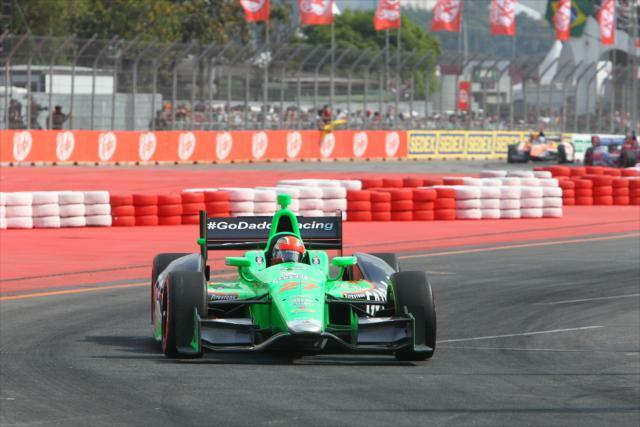 27 GoDaddy.com car, earned his second career victory and the second for Andretti Autosport this season. 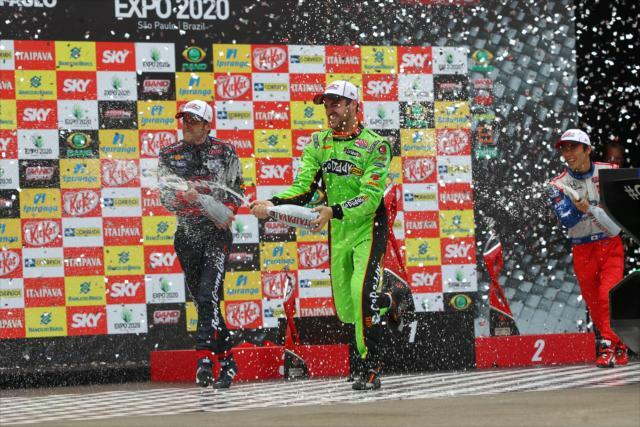 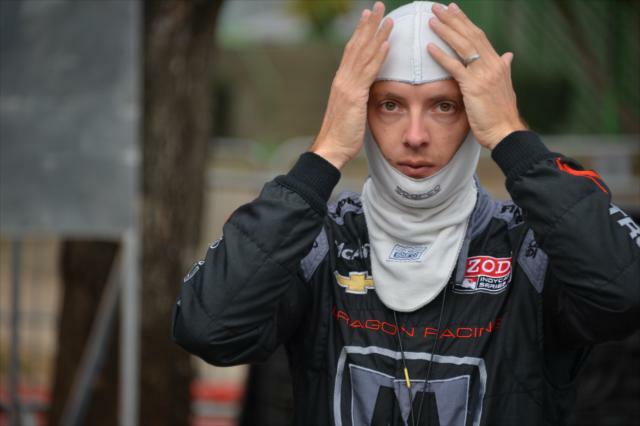 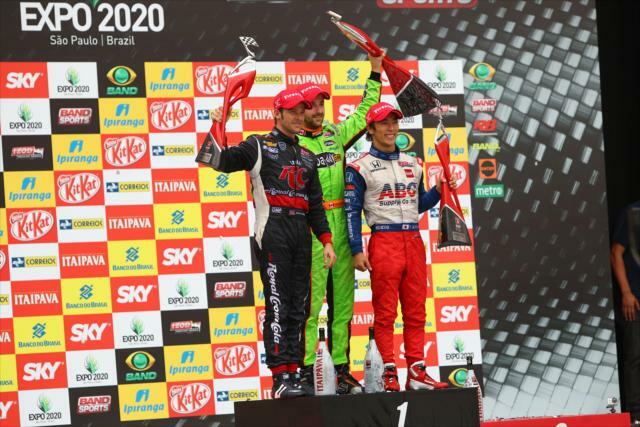 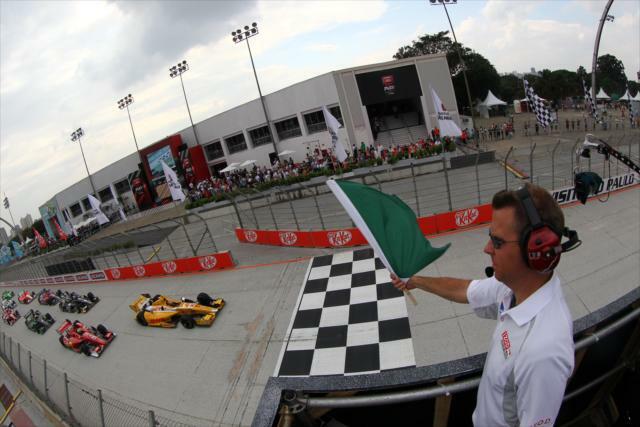 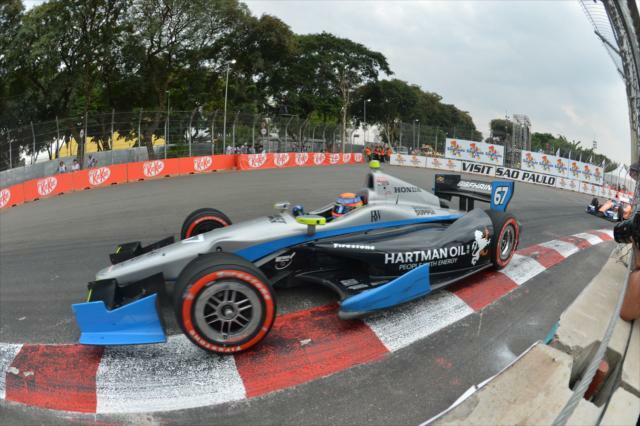 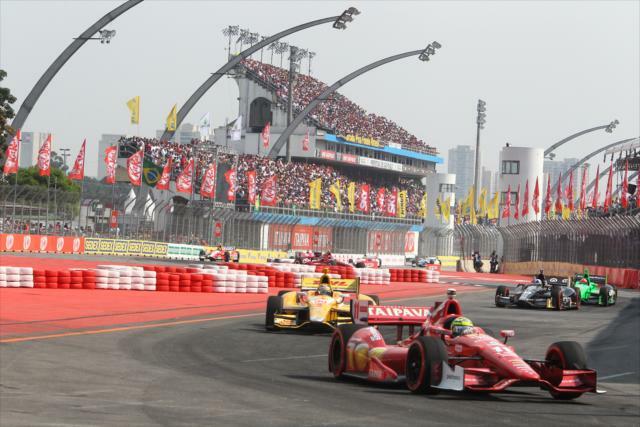 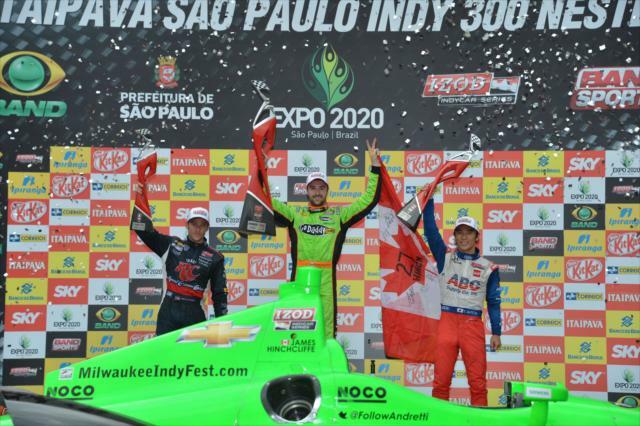 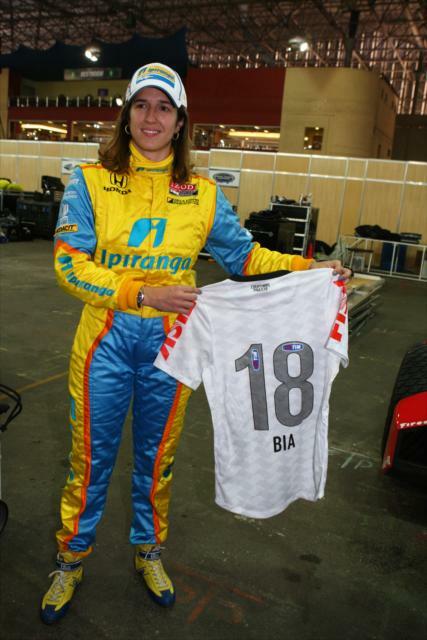 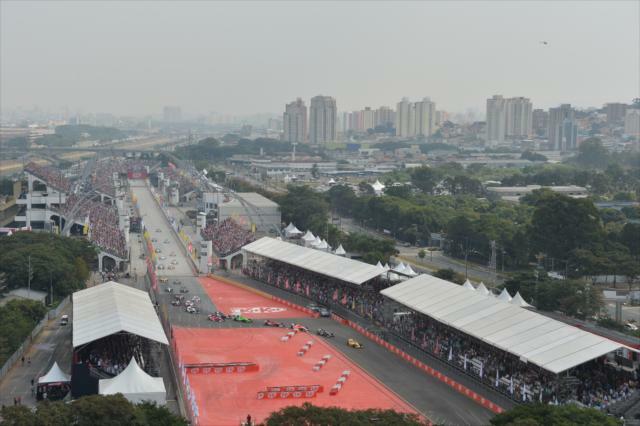 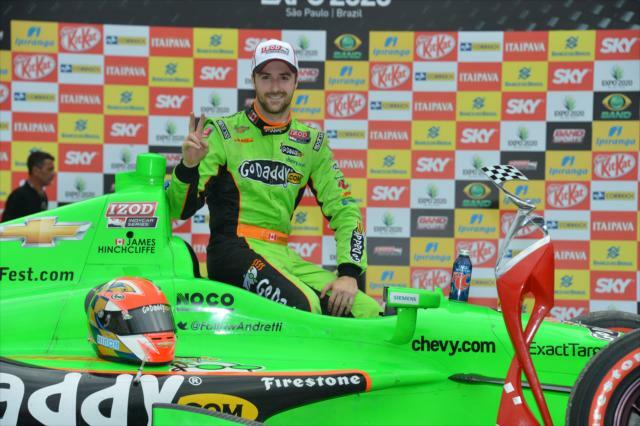 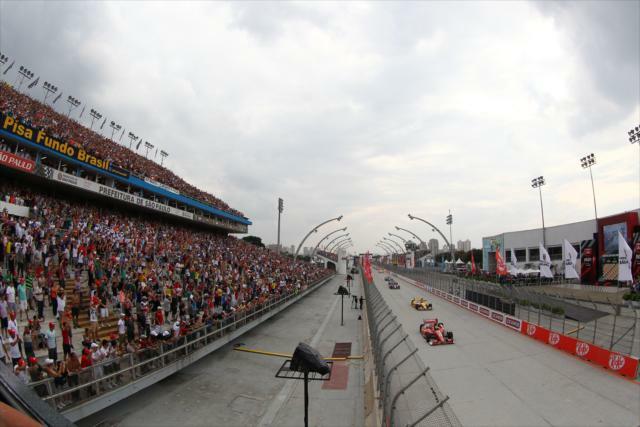 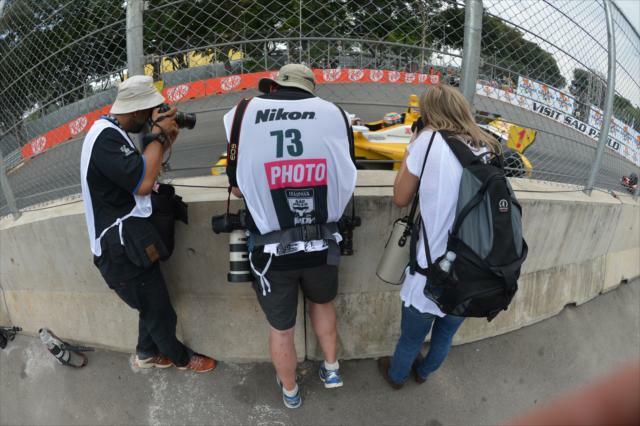 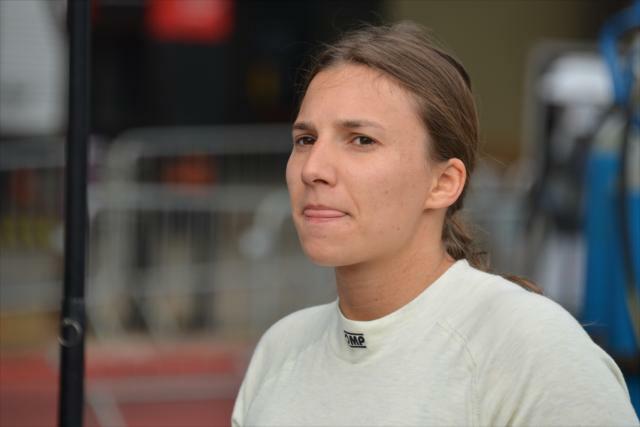 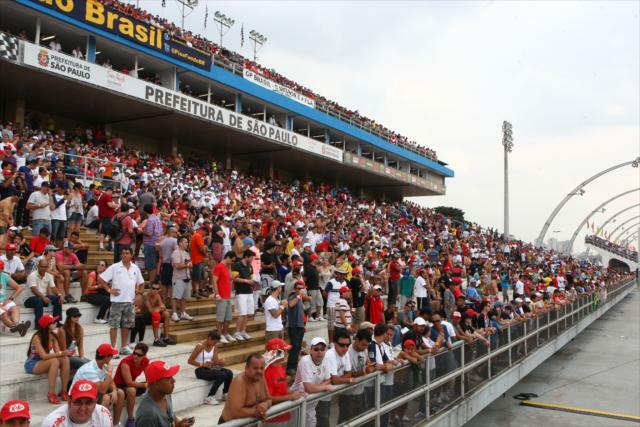 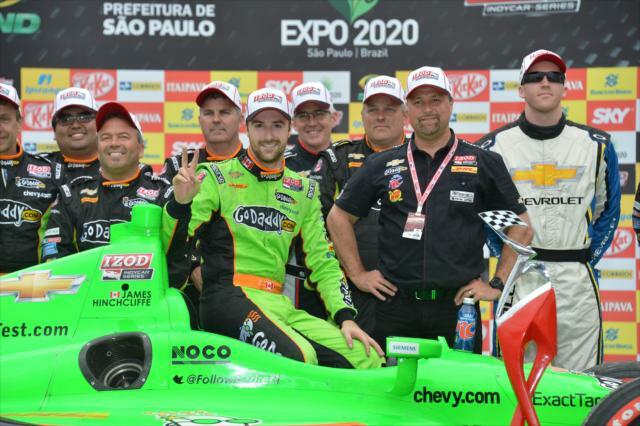 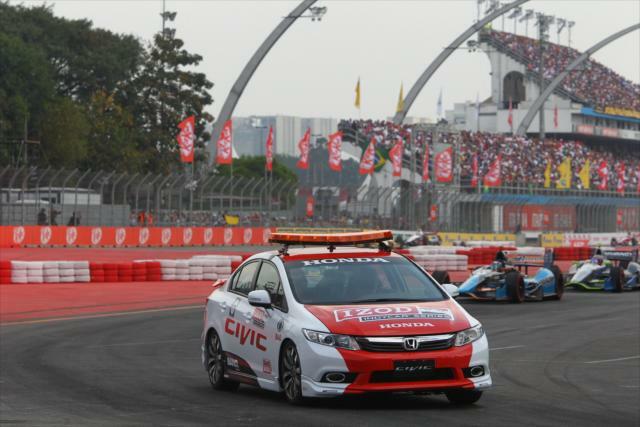 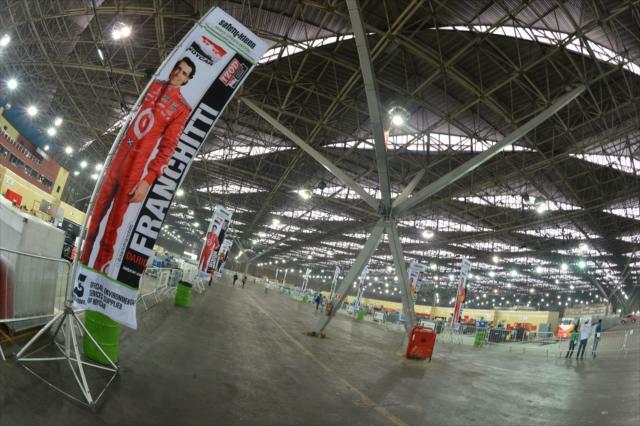 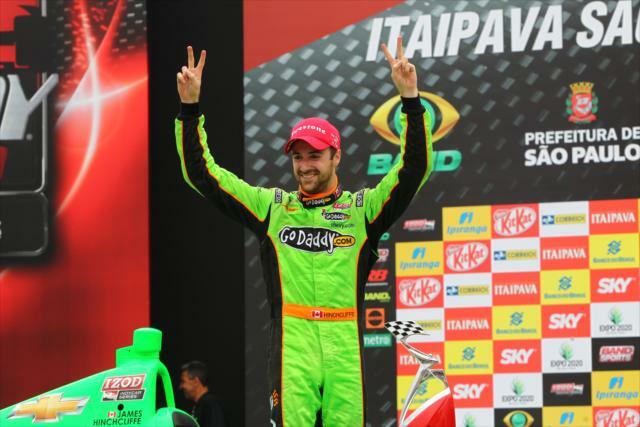 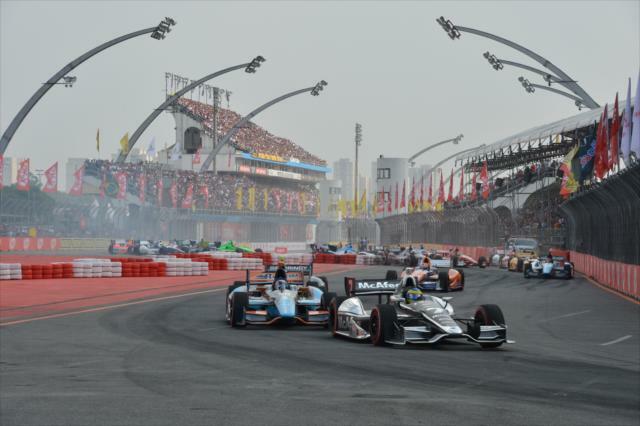 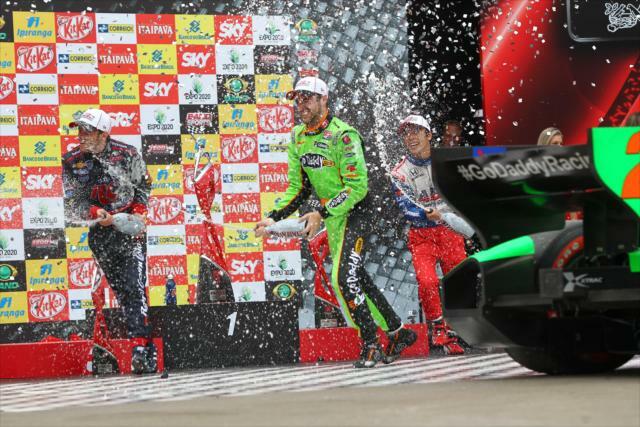 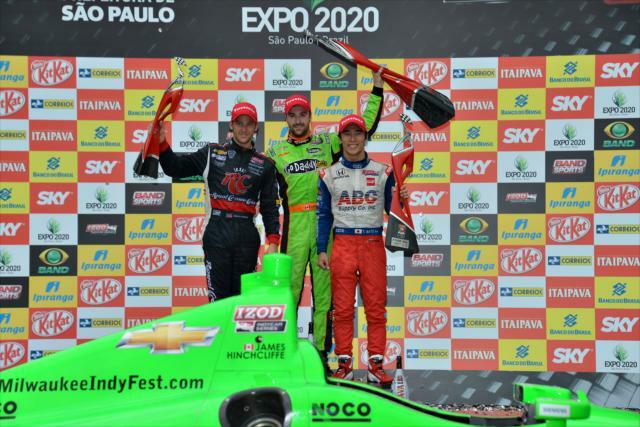 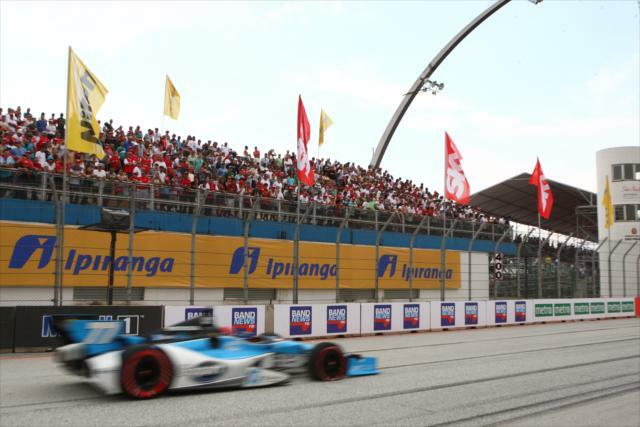 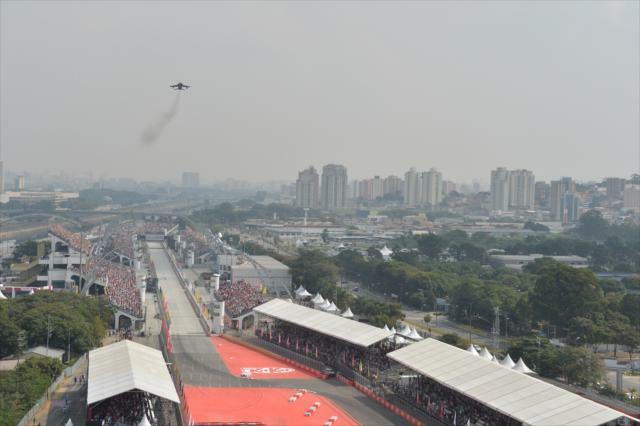 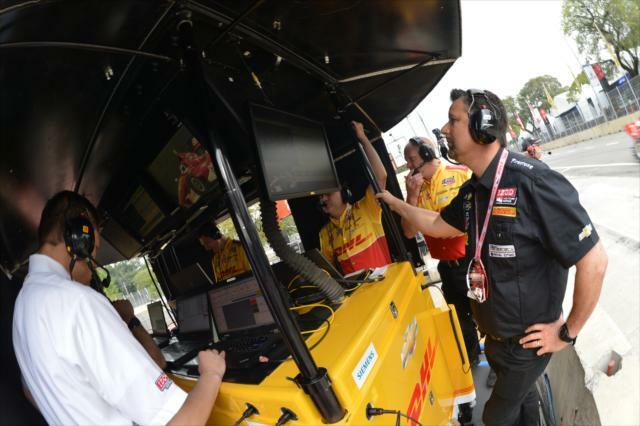 He is the first Canadian to win in Brazil since Greg Moore at Rio on May 10, 1998, and the third winner in four races. 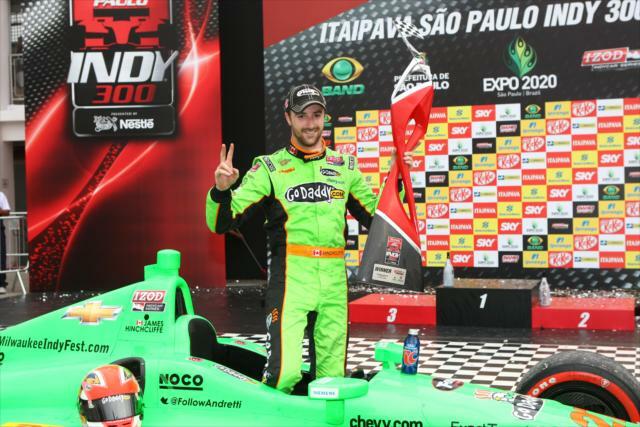 Marco Andretti finished on the podium in the No. 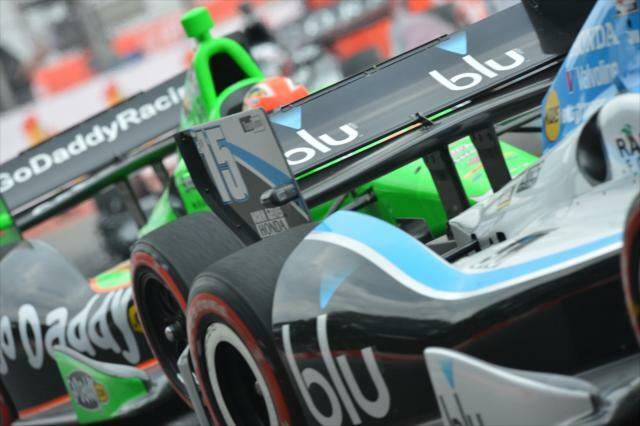 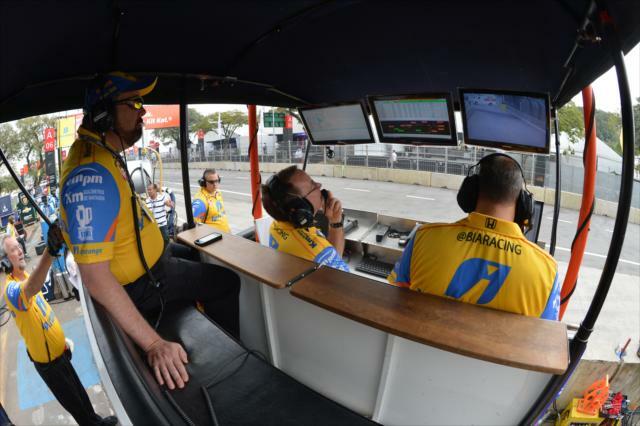 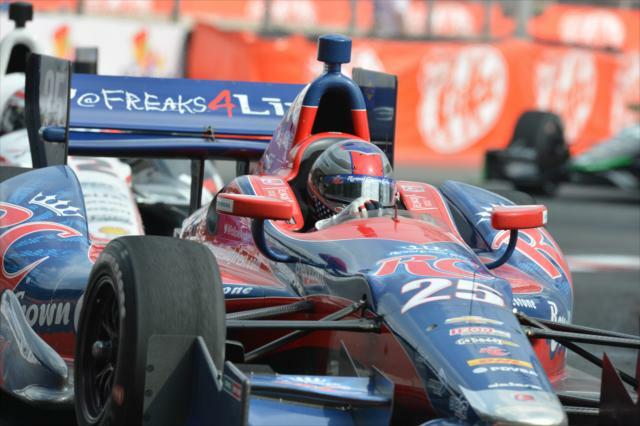 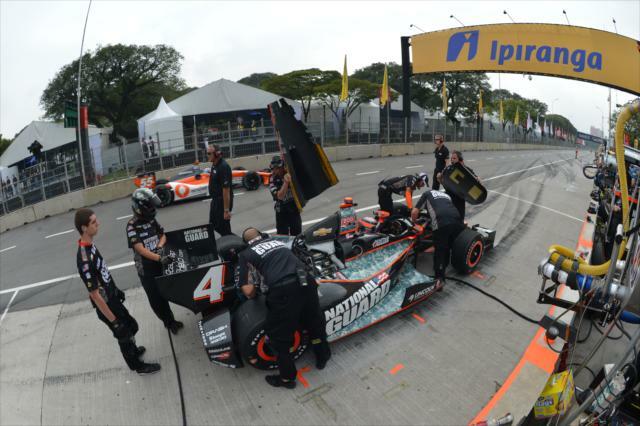 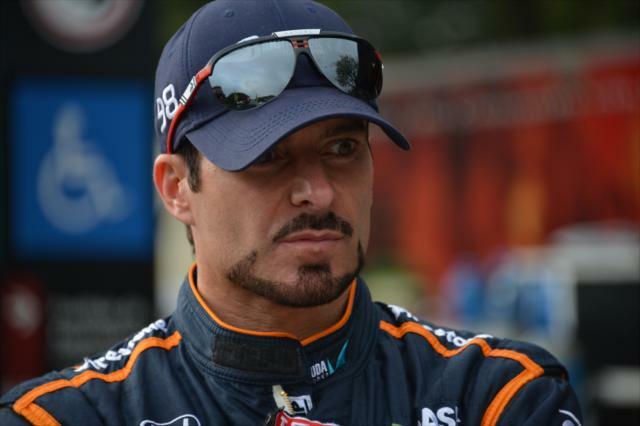 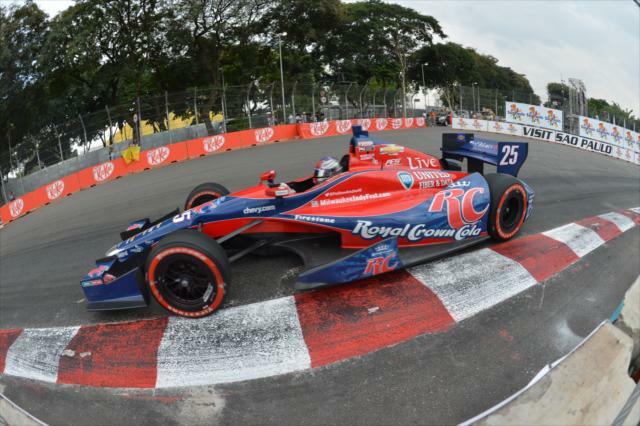 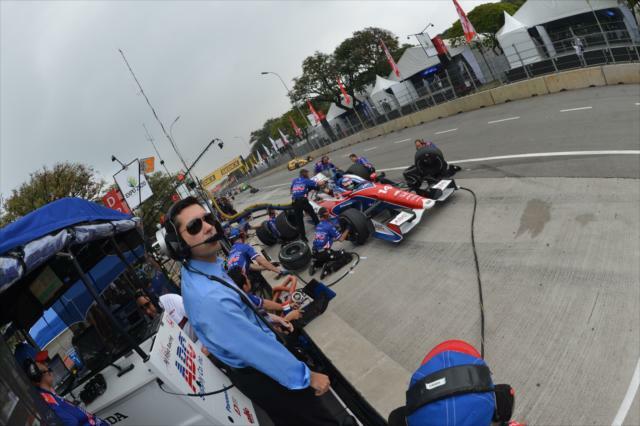 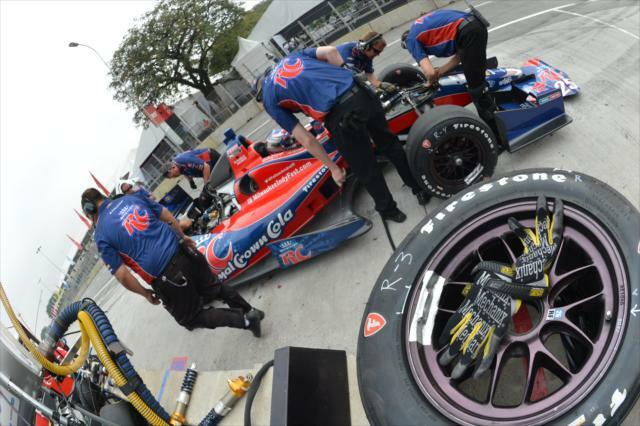 25 RC Cola car for the second time (and his fourth consecutive top 10) and Oriol Servia placed fourth after starting 13th in the No. 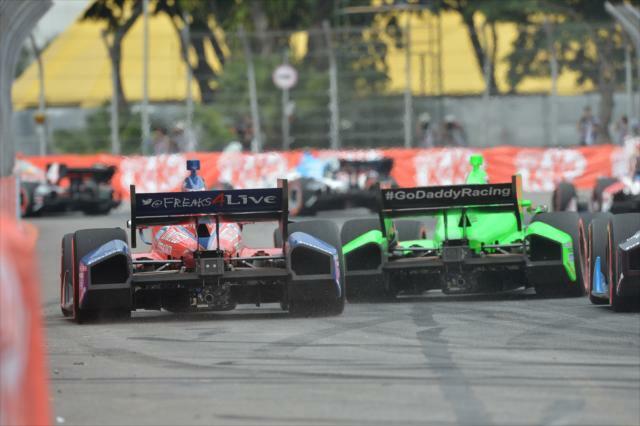 22 Panther/DRR car. 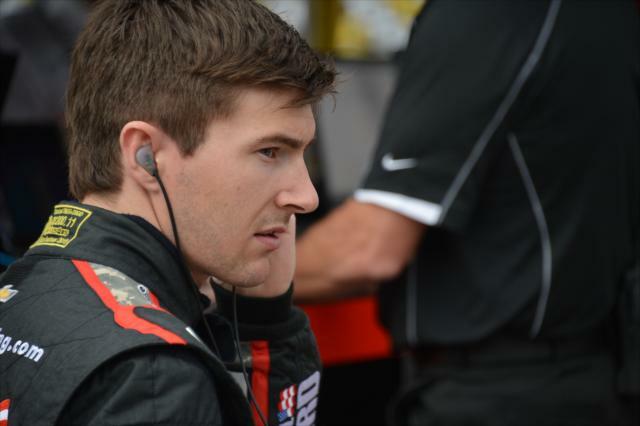 It was his best outing since finishing fourth at Milwaukee last June. 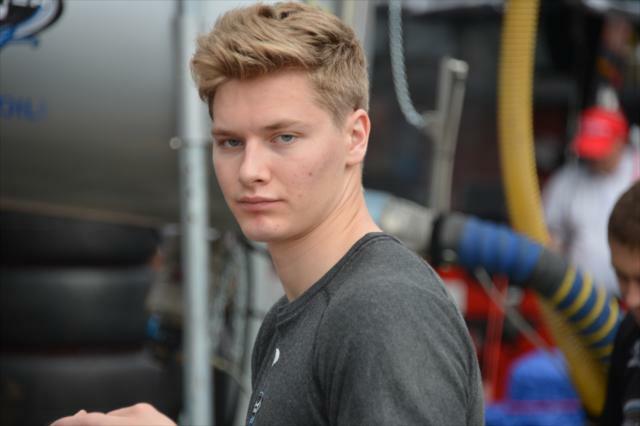 Josef Newgarden, who was running .5285 of a second behind Sato on Lap 70 of 75, finished a career-high fifth after making up 20 spots relative to his starting position.